Anyone fancy a trip to Tasmania? 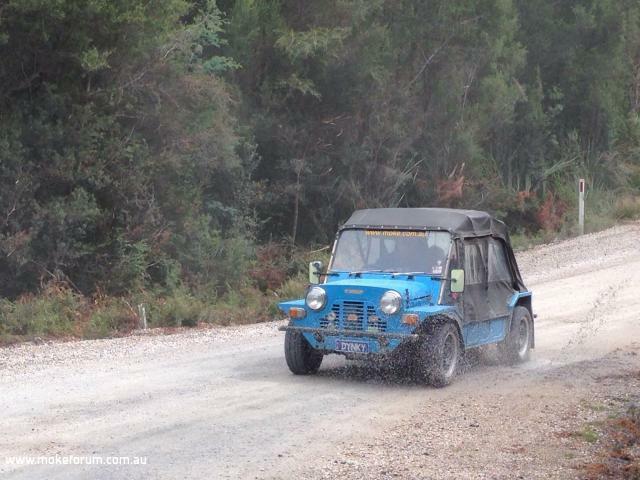 We're planning a Moke event in the spirit of Moke Muster and the other large gatherings that have been held in Australia in recent years. Its early days yet, we haven't decided on a name, a date, or a venue for the event but it will be held in Tasmania in March or April 2015. Already we have strong interest from a good number of Mainland Moke owners, but we would be delighted to have some overseas visitors. If you've been thinking about a visit to Australia, consider coming along. Tasmania has superb natural wilderness and the best Moking roads in the country. We don't expect you to bring a Moke (although it has been done before), we'll be able to find you a seat with someone else. Re: Anyone fancy a trip to Tasmania? You tease.... Keep us posted. I've still got some frequent flyer miles burning a hole in my pocket.... and, I've never visited the southern hemisphere. Hi Robin. 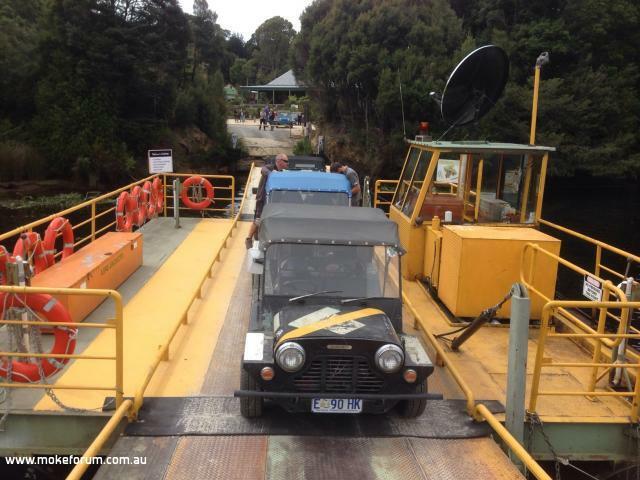 I saw your post on the Australian Moke forum, we'd love to show you around. I'm not sure that there will be many of you preparing to visit us for Mokin' Downunder in March 2015, but we'd love to have you along. There are now some details up on our page on the MokesInc website and we'd like to invite anyone who might even be a tiny bit interested to join our Facebook page, to keep up to date. Once we have the full itinerary fleshed out I'll ask Nigel or Dean if we can put a formal announcement in the events section. I'm expecting a cascade of pics in the gallery of your event this week. WITH CAPTIONS so we know what we're looking at please! Have a great time, regards to all. Someone mentioned on FB that there are 32 Mokes there. Odd as it sounds, I'm not there either. The event has two parts. The first few days is touring the north and west coasts, but I'm flat out with work, so I'm only doing the bit centred around Hobart. I can't repost any of the Facebook pictures until I get to a real computer, but I'll see what I can do tomorrow. We should have approximately 50 in Hobart. Sorry, I've not been following on facepack. I am therefore left photo deficient ! Someone please rectify this situation as soon as possible. Here's a couple of Mokes lined up on the shore at at the little coastal town of Stanley, with "The Nut" in the background. Today they are heading down the rugged west coast. They have the choice of two different routes, a sealed bitumen road, or the "west Coast Explorer" which is about 125km through some pretty interesting wilderness. Most of the road is dirt - mostly white or pink gravel, so I'll be expecting the mokes to be looking less colourful in the next photos, especially if they get some rain. The weather has been mixed. 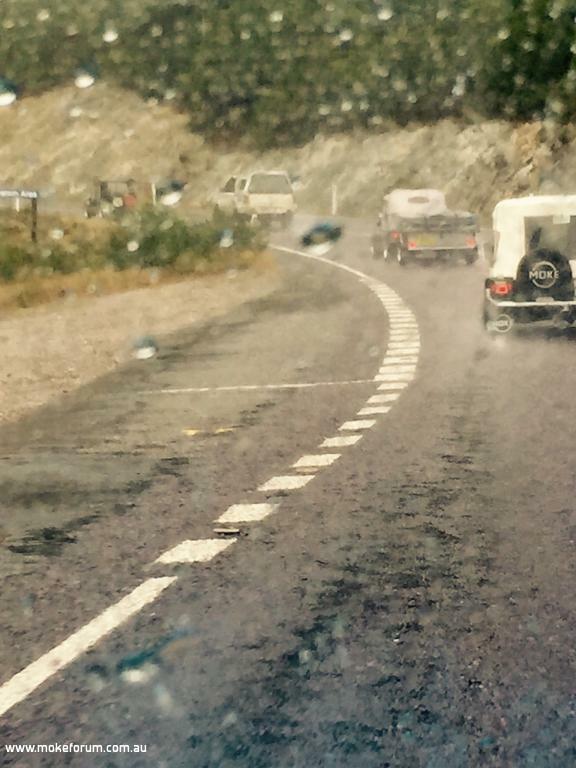 Tassie's west coast is notorious for rain and wind, and I have a bad feeling they are going to get a bit of both. Sadly our weather has been doing its best to confirm the prejudices of most 'mainlanders'. The forecast is looking better for the end of the week though. p.s. this is the link to the facebook page, I don't tknow if you have to be signed in to view it though. So, a QLD'er did make it then (no real surprise with Andy though. He's been everywhere with that Moke). Liking the look of all that's going on there. Thanks for the pics. No facebook updates to speak of for nearly 24 hours. I can think of three possible explanations. 1) after driving all day on the western explorer they were all in the pub, or asleep, not updating facebook. 2) After driving all day on the western explorer none of their devices worked because they were full of grit and rain and all the screws had rattled out of them, or 3) They have no mobile coverage. 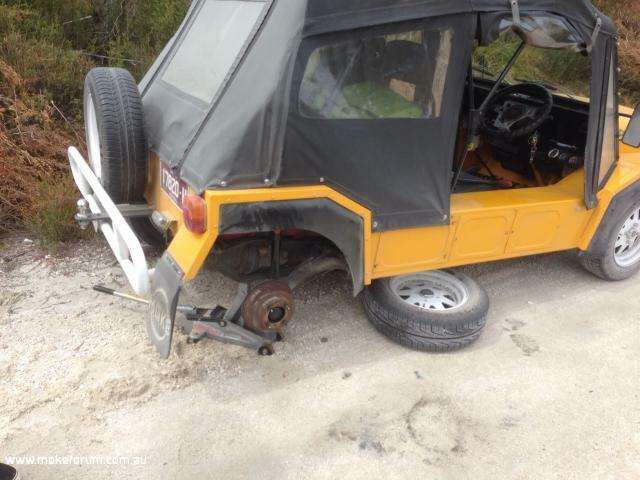 Shifting over to the Aussie Moke forum and someone has managed to get through. Here's a pic from the group that went by road. This pic shows them crossing the Pieman River on a punt called the "Fat Man". The moke in front represents a minor miracle. 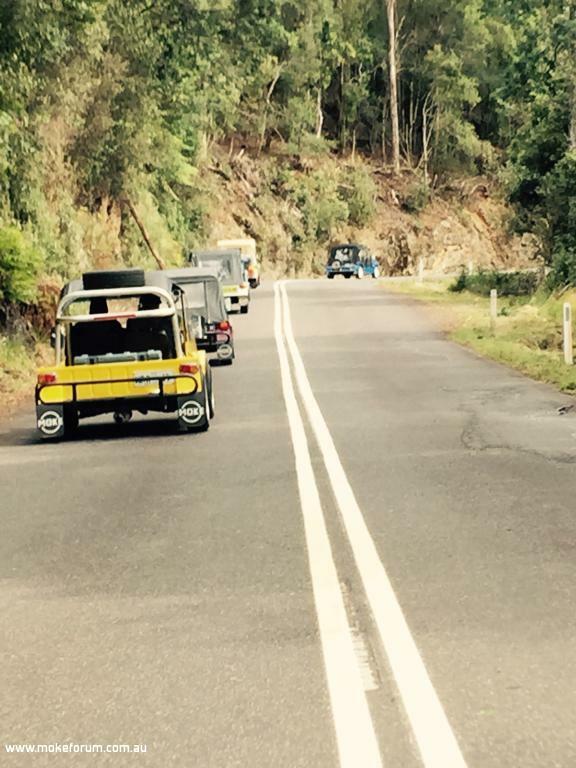 One of the Aussie forum guys has been talking about having a Moke on the road for the last seven years - but was always too busy to actually do it. 5 weeks before the start of the trip he declared that he was going to be there. He had his Moke ready with 1 day to test drive it! He's named it 'Just-in'. Today they've spent the day in the tourist town of Strahan (we say it "Strawn"). There's several really nice wilderness tours available, but after that they went to Ocean Beach to play in the sand. I expect lots more beach pictures later this evening. Yesterday the group had their longest day of driving. about 300km from the west coast into the city of Hobart. The road is very entertaining. It rises from the coast right up into the central highlands then back down to the coast. It is quite narrow and very twisty in a few places, so it can be quite a long drive. Unfortunately the weather gave them a bit of everything. I went out to the caravan park where most are staying and said hello last night. Everyone was in good spirits, although a bit tired. Today is a rest day - and the weather has really done its best to re-enforce the stereotype. In fact, it is snowing on the mountain. The sun is shining brightly now but it rained heavily this morning and its freezing - I'm wearing my warmest shorts! This is meant to be the hottest time of the year. We're all going up there on saturday, so I hope it has improved. 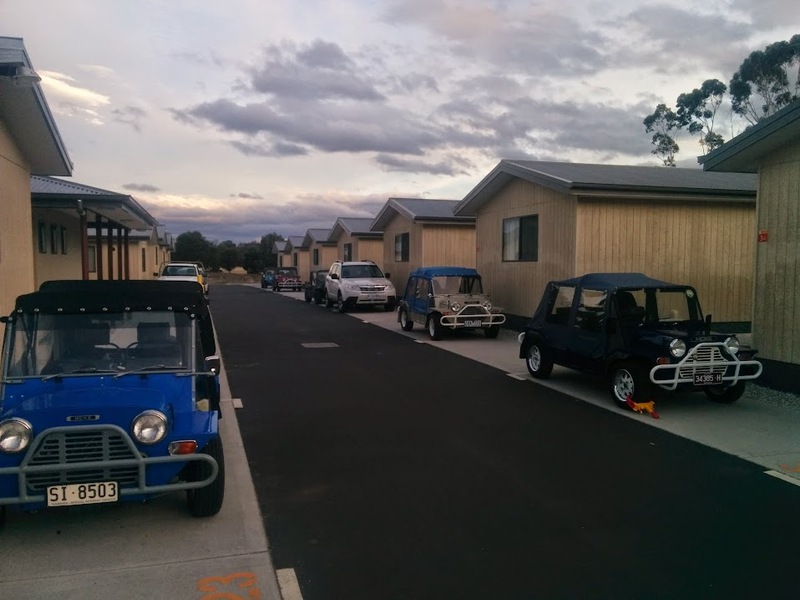 Tonight the local Mini club has invited us to their pub, then tomorrow will be a trip down the Tasman Peninsula, in hopefully better weather.